Connection. It’s the glue that holds our communities, friends and families together. Have you ever moved to a new city or town and felt like you were living on a deserted island, far from civilization? You walk passed strangers on the street or buy your milk at the grocery store, but you feel alone. Sure, you might chat it up a bit with the cashier at the store, but the connection is lost somehow. A similar situation happens when we retire from work. Your routine changes, often drastically. As a member of the organization you work for, there is a common goal or cause that brings you and your coworkers together. When we lose that connection, we might also lose our sense of self-worth. There are a million reasons why we lose a sense of connection with our environment and the people around us. The above are only two examples. Change is difficult and resisting it, either consciously or subconsciously, is a completely normal reaction. However, resisting change does not help you in the long run. One way to break out of a resistance to change, is to engage in activities that allow you to use your talents and skill sets to serve others. Our volunteers are shining examples of people who love what they do! They use their time and resources, whatever they have to give, to help our clients. In turn, while they might not be aware, they are also helping themselves. We notice it in a smile or a laugh, in their dependability and in their commitment. And, we’re thankful. Having something to look forward to each week helps Dan get through his days as a person living with Multiple Sclerosis. Each week he meets with the Day Hospice group to share stories, have a good meal and try new activities. Attending the program allows him to think about something other than his illness as well as connect with others. He’s always the first to crack a joke and bring our spirits up in the Perth office. He’s an inspiration to all of us and to his 15 year old daughter who (like all teenage daughters) keeps him on the edge of his seat! Our kids teach us every day how to be better humans in this crazy world we live in. They show us compassion when we’re feeling less than lovable and they give us a reason to fight for our health and well-being. For Dan, his 15 year old daughter is his reason to keep looking up and staying positive regardless of the impact Multiple Sclerosis has on his life. 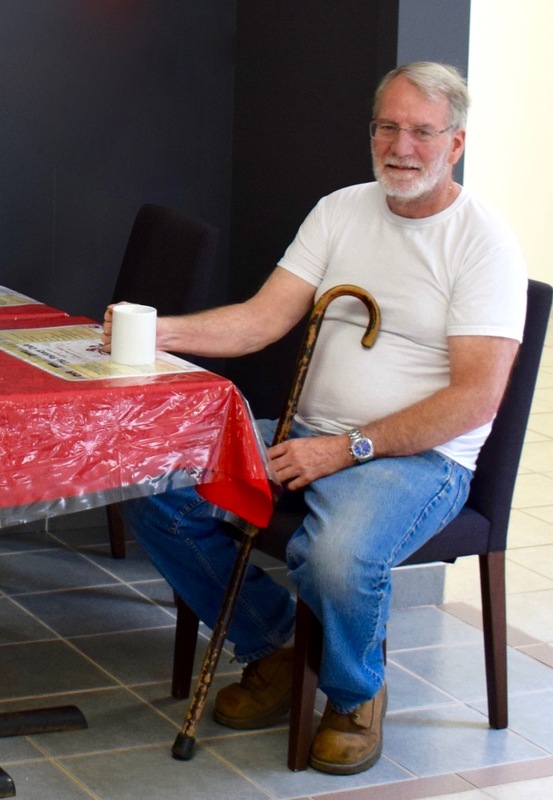 Once a week, Dan meets with other members of the Day Hospice group in Perth. He and his family moved to Perth from Smiths Falls specifically to partake in this program. He tried out a few meetings and knew right away that this would be helpful for him. Having a group to meet with once a week helps him let go of his worries for a few hours. He is able to talk to other people that experience the same frustrations with their health. Being surrounded by people who understand your struggle is important to your mental well-being. During our interview, Dan kept cracking jokes about seeing himself for the first time in the mirror. About 6 years ago, Dan lost his vision due to the progression of Multiple Sclerosis. For 6 to 7 weeks, Dan was without sight. Imagine not being able to see your loved ones, their smile or the sad look in their eyes that tells you something is wrong. Losing your sight is a lonely experience and nothing can prepare you for the shock. Then, out of the blue, Dan saw a flash of light. He turned to look in the mirror and the mirror was foggy just as if he had stepped out of a steaming shower. Over time, his vision became clearer and he is happy to be able to see his beautiful daughter again. Dan told us time and again that the Day Hospice group has been a huge help to him. It gives him a much needed break from thinking (and worrying) about his illness. As for us at CHSLC, we love to see him coming across the parking lot on his scooter! Life is far too short. Nancy and I were reminded of that when we attended the wake of a long time client, Lois. Arnold revealed that he and the rest of his family couldn’t get over the changes they saw in Lois’ demeanour once she accepted the CHSLC services. She first started receiving meals through our Meals on Wheels program 10 years ago and she wasn’t a happy camper. She would be the first to let us know if the meal was late, the salad not crisp enough or the soup wasn’t hot. At times it seemed there was no pleasing her. At this time, Lois was pretty independent. 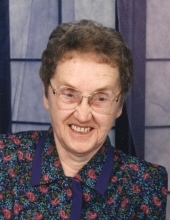 She had her own car and was an active member at the Legion. Then, she found out she couldn’t drive – first her car, then her scooter. Lois became isolated. Her family tried to get her out for activities, but she refused. Lois’ independence was taken away. All the years she spent as an independent person – simply driving to the store to get milk or socialize with friends, gone. Over time, Lois started using our Home Help service. One of our valued Home Help workers, Joyce Kennedy, helped her with household chores and weekly shopping. Arnold said that one time he walked into Lois’ house to find her and Joyce hanging out on the couch chatting. Lois told her son that she had met a soul mate.